Healthcare marketing is constantly affected by challenging conditions, but there’s no need for marketers to be worried sick about these critical matters. They simply to need keep their finger on the pulse of the industry and work with an experienced healthcare marketing team. Only then can they stay aware and prepare to face any challenge ahead. For a healthy advantage on handling what’s new and news in healthcare marketing, EconomicVoice.com featured the four top trends and the best ways to treat them. 1. Social Media is the Remedy for Reaching Consumers – Both social media and healthcare revolve around personal matters, so the forum is a perfect fit for marketing healthcare brands. While doctors have long been the primary target for advertisers, consumers are much more empowered today and want a say in their prescriptions and procedures. This has led healthcare brands to expand their focus to consumers and directly connect with them on social media. As a result, more and more brands have created social media pages for their over-the-counter drugs. These pages let them interact with customers, engage potential users, post relevant information, and build buzz for their brand. Their goal is for consumers to develop a preference for their products and then request them from their doctors. One potential challenge is staying within regulations while still reaching out to consumers, but brands just need to stay up on current rules when using these social tools. 2. Online Reviews Help Brands Dispense Information – People’s love for expressing their opinions has led to the rise of online reviews. While once used mostly for reviewing hotels and restaurants, these forums are now a popular place for sharing feedback on medications. Since people will be talking about the brand, it’s important for healthcare companies to monitor these interactions. Brands should have people with medical expertise interacting with consumers to provide knowledgeable information and sensible advice. They should also have a savvy medical marketing team to handle all PR and regulatory issues. The beauty of online reviews is that positive ones can benefit a healthcare brand by providing free advertising for their products, promoting the good experiences of satisfied users, increasing trial among reluctant consumers, and encouraging brand advocacy. In the case of negative reviews, these forums give brands the opportunity to discover problems with their products and resolve any issues in a public forum before they spiral out of control. Addressing concerns in a public way shows consumers that the company truly cares and wants them to have a positive brand experience. 3. 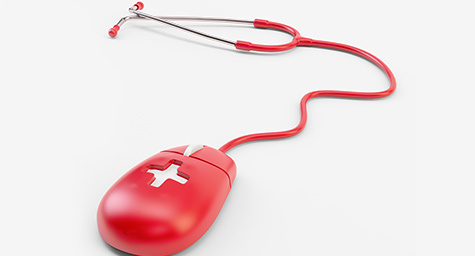 Targeting Content Lets Brands Treat Doctors and Patients Individually – Since the Web provides open access to everybody, healthcare brands need to target their online product information to both medical professionals and concerned consumers. The best approach is to have one section of data for doctors and another section of information specifically for consumers. The doctors’ data can be filled with the usual medical jargon, but the consumer information should be written in everyday language with helpful highlights like FAQs and dosing details. 4. Marketing Allows Brands to Revive Their Image and Loyalty – As people increasingly choose generic versions of their prescriptions to save money, big brands need to find ways to distinguish their products and develop a loyal following. This is where marketing can make a major difference by positioning the brand as the better choice and promoting continued use to build lasting loyalty. Perhaps the biggest change in healthcare marketing has been the shift away from primarily doctors and more toward consumers. While doctors will always remain a key target since they are the ones providing and prescribing the big brands, today’s consumers want to be much more involved in their healthcare decisions, which makes them prime prospects for healthcare brands. And with industry regulations changing every day, it’s essential for brands to choose the right marketing team in order to stay within the rules and still get maximum reach. Get a healthy advantage in healthcare marketing. Contact MDG Advertising. MDG Advertising, a full-service advertising agency with offices in Boca Raton and New York City, is one of Florida’s top healthcare marketing companies and branding firms, whose healthcare clients include Dental Care Alliance, MDVIP, Max Planck Florida Institute, HCA East Florida, Primary Pharmaceuticals, the biostation, and MD Now. MDG’s core capabilities include branding, logo design, print advertising, digital marketing, mobile marketing, email marketing, media planning and buying, radio and TV advertising, outdoor, newspaper, video marketing, infographic development, Web design and development, content marketing, social media marketing, and SEO. To learn more about the latest trends in healthcare marketing, contact MDG Advertising.